Trigirl is proud to announce that we are once again partnering with Deva Divas triathlon and quadrathlon. 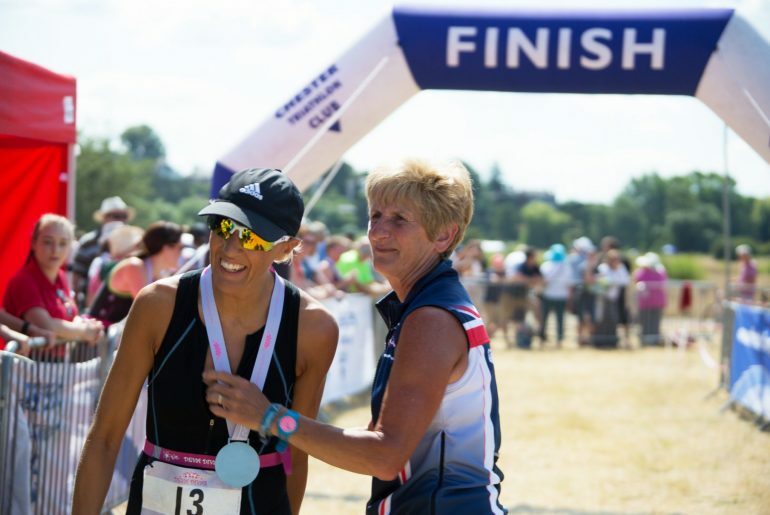 Held in Chester on 14th of July, Deva Divas is a short distance ladies-only race, providing fantastic support for beginner and improver triathletes. They offer beginner’s seminars (one this year already attracted 55 fledgling triathletes! ), training days, bike workshops and more. Registrants to Deva Divas triathlon not only receive a Trigirl discount code, but have the opportunity to compete for Trigirl prizes and vouchers, as well. 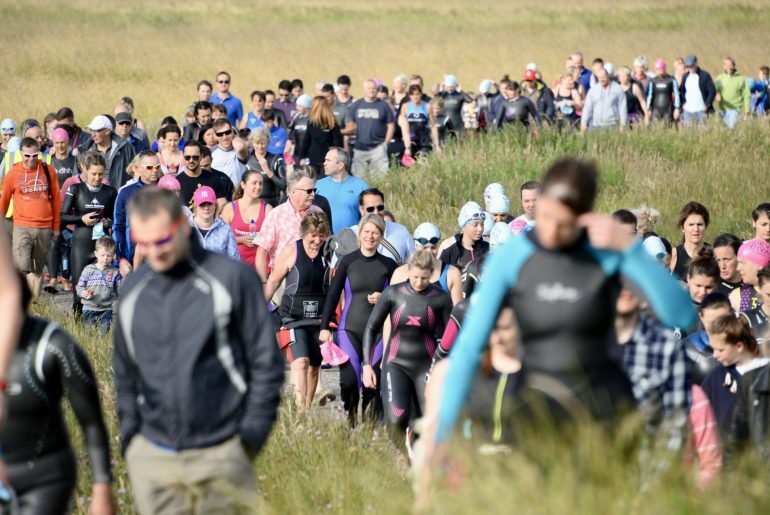 Beginning in 2006, Deva Divas is now a very popular event- so popular, in fact, that the quadrathon (swim, bike, run, kayak) has now sold out for the third year and the triathlon is selling quickly, too. Part of the race’s popularity comes from its winning the coveted British Triathlon “Event of the Year”, Triathlon England Club Event of the Year and also North West Regional Race of the Year in 2016. Deva Divas is also the only race to have ever won the British Triathlon award twice, after winning it for the first time in 2009. If you’re considering your first (or 50th!) triathlon and want a supportive, women’s-only race (with the BEST prizes! 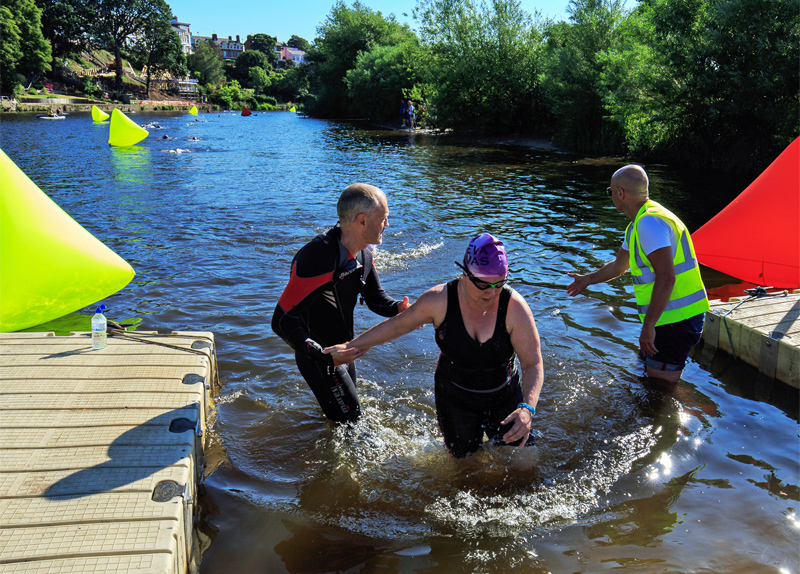 ), why not give Deva Divas triathlon a go? But hurry! It sounds like spaces won’t last!! Deva Divas will be held on Sunday, 14th July, in The Meadows, Chester. More information and registration can be found on their website. Want to show your triathlon pride, even when you’re not racing or training? Looking for an extra layer to wear pre- and post-race? How about one (or more!) of our new Trigirl Triathlon T-shirts? 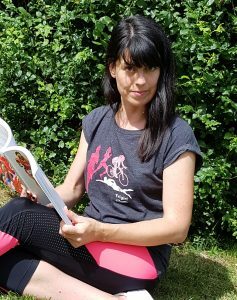 Our new T-shirts are soft, stylish and feature a female triathlete swimming, cycling and running. 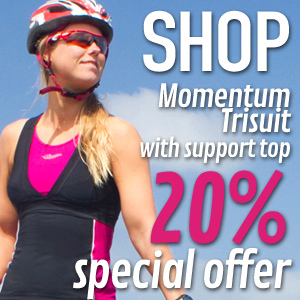 The perfect way to show your triathlon love and your tri-girl power! 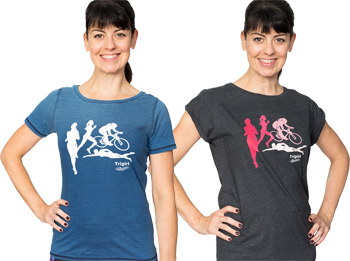 In two styles and three colour choices, Trigirl Triathlon T-shirts are 100% cotton or a super-soft cotton-poly blend, depending on style. Great for when you’re recovering– or just relaxing! Each T-shirt coordinates with Trigirl capris and tri shorts, too, so putting together the perfect outfit is a snap! We think our T-shirts are so great, we plan to expand the range- what do you think? What graphics would you like to see? More images? Cheeky or fun triathlon quotes? Something inspirational/motivational? What fit and colour is your favourite? What colour would you like to see? How are you wearing the new Trigirl Triathlon Ts? Drop us a line at marketing@trigirl.co.uk or comment below and let us know your thoughts. It’s a valid question: many triathletes already feel that swimming is their worst sport, then add the stress of jumping into a strange lake or sea, wearing a wetsuit… guidance is needed! At Trigirl, we’ve published some great articles and blogs on open water swimming. We have coached swimmers and have done a fair share of open water swimming ourselves. But even we can’t claim to be at the expert level of Outdoor Swimmer Magazine. Outdoor Swimmer Magazine is a great place to catch up on tips and techniques for the new and experienced swimmer alike. They offer training and nutrition tips, suggestions on great places to travel to enjoy outdoor swimming, and a glimpse into the open water swimming community. 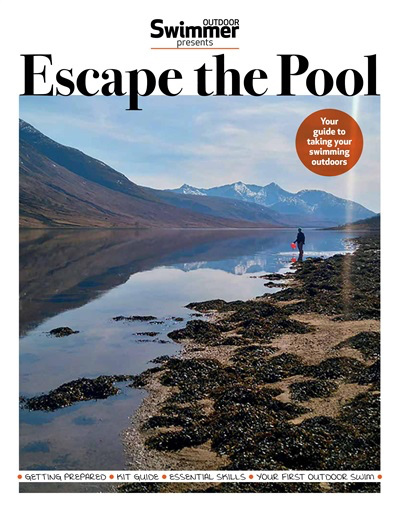 And for those of you who are wondering how to make the transition from the pool to the open water, Outdoor Swimmer Magazine have released their FREE Escape the Pool guide. It is packed with tips on gear, how to become more confident and wetsuit advice. The Escape the Pool Guide provides tons of answers to your open water swimming questions, written by the open water experts! 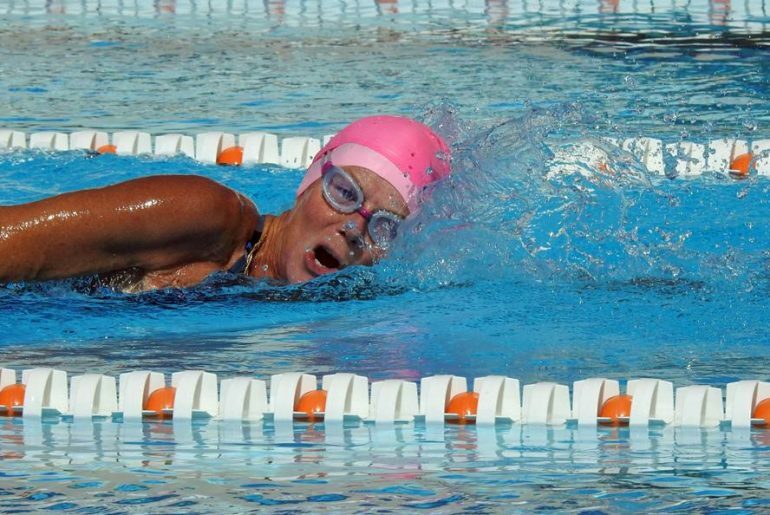 Outdoor Swimmer say, ‘For many people, swimming outside is incredibly daunting. It induces panic rather than exhilaration and joy. Or you just don’t know where to start. We’ve therefore produced this short guide to help you start on your own outdoor swimming journey which will take you to places and give you experiences that you never imagined.’ Sounds great! For your free copy of Escape the Pool, click here. Chances are if you’re a triathlete, thinking about trying triathlon or have followed sports news in the slightest, you have heard of Chrissie Wellington. 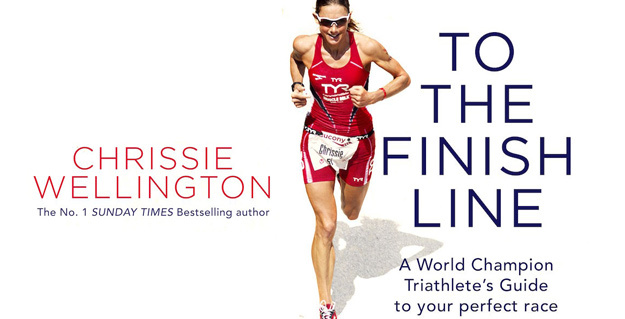 Well, four-time Ironman World Champion, Chrissie, has released her second book! 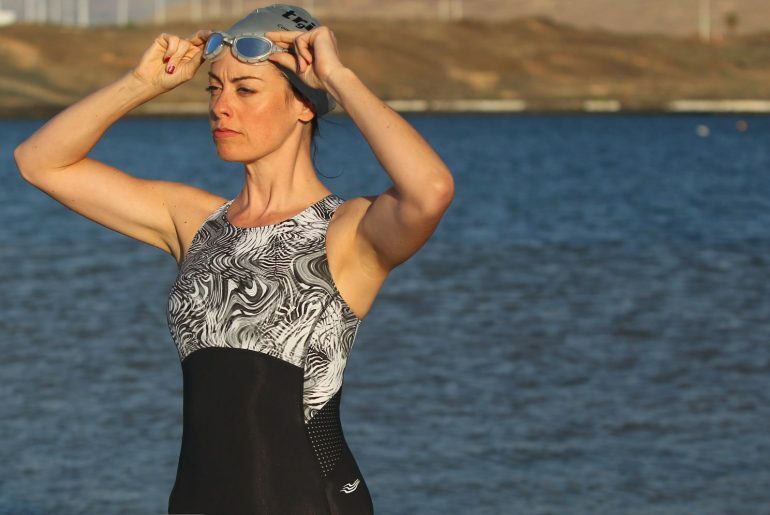 This time, she draws on her own experiences to help YOU navigate, and excel at, your first (or 100th) triathlon. Lucky you!!! And now, you’re even luckier! We have three copies of To the Finish Line to give away!! To enter, just like our Facebook page (@Trigirl.UK) then let us know why you want/really want/absolutely NEED a copy. To the Finish Line covers a plethora of topics, ranging from fitting triathlon into your busy life to nutrition advice, all in a relaxed, readable way. 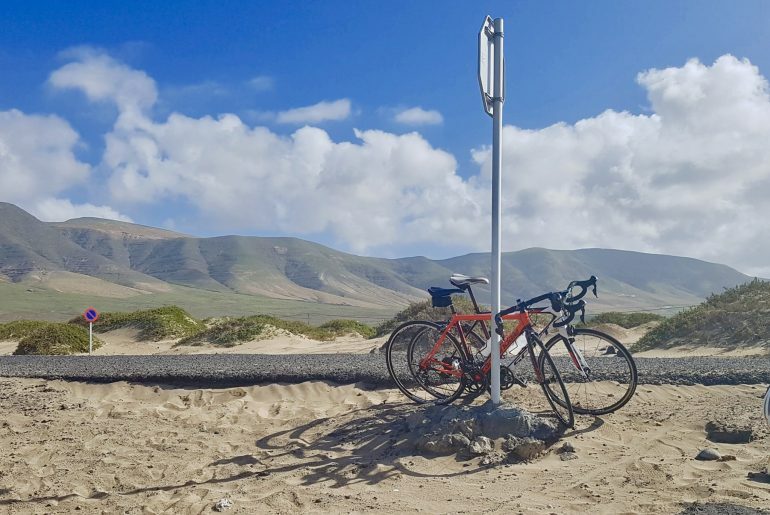 Hopefully everyone is in full swing with training now that the weather is improving, but even the most committed triathlete could use some tips from Chrissie. We can especially recommend some of the less-covered-by-other-triathlon-books topics, such as strength and conditioning tips by six-time World Champion, Dave Scott. Or check out actual recipes that Chrissie has used during training and in everyday life. Of course, there are also easy-to-read training plans and advice on how to get the most out of your swim, bike and run training and how to be your fastest on race day. Want to know more? We’ve read To the Finish Line and share our thoughts in our latest book review. To read our review of To the Finish Line, click here. To let us know why you are one of the three lucky people who gets a FREE copy, like us on Facebook @Trigirl.UK and comment in the post! Entries close on 12th June 2018. The amazing coaches at Tri50 and novice-training experts GoTri are teaming up this summer to offer a fully-coached triathlon training day! 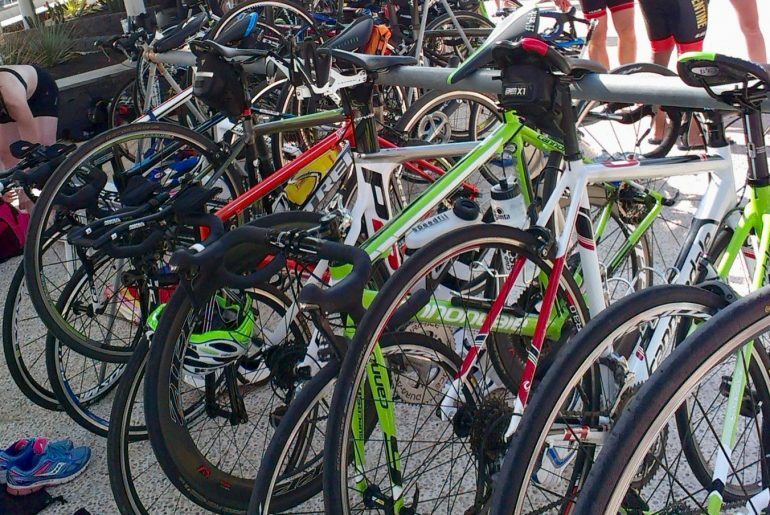 Are you a novice triathlete preparing for your first event? 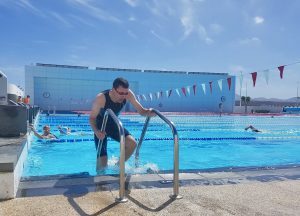 Do you want to build your confidence and improve your technique for the OW swim? Or maybe you’d like more of a clue what happens on the big day? This triathlon training day will answer these questions and many more. Though Trigirl isn’t running our own women’s training day this year, we’ve worked with Tri50 for years, including as coaches on previous training days. 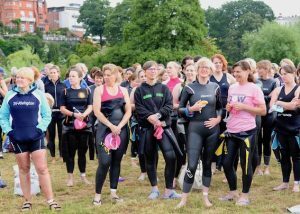 Jo from Tri50 also runs women specific triathlon training groups and wrote about it for us here. 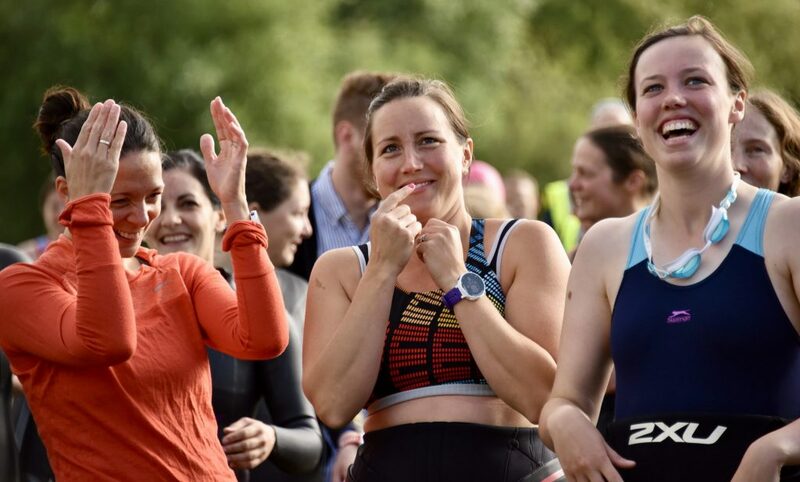 Despite it not being women-only, we can highly recommend this course as a great way to gain the skills and confidence you need for your first triathlon. The training day costs £50 and will take place on Saturday, 9th June at the lovely Merchant Taylor’s School in Moor Park (near Watford). It can be booked through the British Triathlon website. Trigirl’s High-Intensity Triathlon Training. Today is High-Intensity Swim Day! This HITT – high-intensity swim session will help build strength and increase your aerobic and anaerobic thresholds in very little time. If it feels tough – good! The results are worth it and you can do it!! If you’re new to Trigirl’s weekly HITT training, see our introduction for more information on HITT. Here we explain how it works and how to approach the sessions. Though high-intensity training has been proven safe, if you are starting a new exercise plan (whether traditional triathlon training or HITT), it’s always a good idea to speak with your doctor. This high-intensity swim session has longer intervals than our last HITT swim session, but try to keep up the intensity. 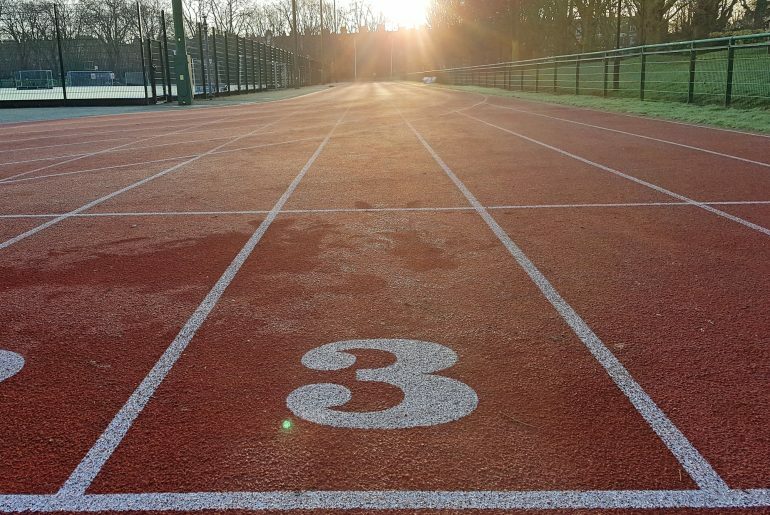 For the sprint intervals, the goal is efforts around 90% of MHR (maximum heart rate). It should feel HARD. If you’re training without a heart rate monitor, think ‘all out’. You may need to gradually build speed and endurance over a few weeks, but don’t give up! Sprint 25 metres, active recovery 25 metres, sprint 25 metres, active recovery 25 metres. Rest at the wall for 20 seconds, repeat four times. This HITT run session will help build strength and increase your aerobic and anaerobic thresholds in very little time. If it feels tough – good! The results are worth it and you can do it!! If you’re new to Trigirl’s weekly HITT training, see our previous post for more information on HITT, how it works and how to approach the sessions. Though high-intensity training has been proven safe, if you are starting a new exercise plan (whether traditional triathlon training or HITT), it’s always a good idea to speak with your doctor. For this high intensity run session, you will need a hill that will take you just less than 60 seconds to run up to complete this session. It should be a real hill, but not so steep that you can’t run it with good form. Run up the hill at a 9 out of 10 effort for 60 seconds. Ideally, you will just crest the hill and have about 10 seconds on the flat at the top to practice running hard out of an uphill. 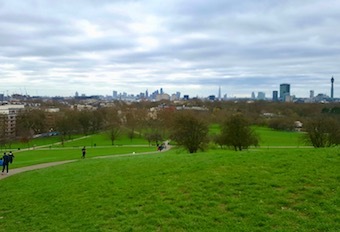 Jog or walk to recover down the hill, then immediately run back up. Start with 3-4 hill repeats, ultimately building to 8-10. Cool down with an easy run on the flat and with static stretches to ward off muscle soreness. 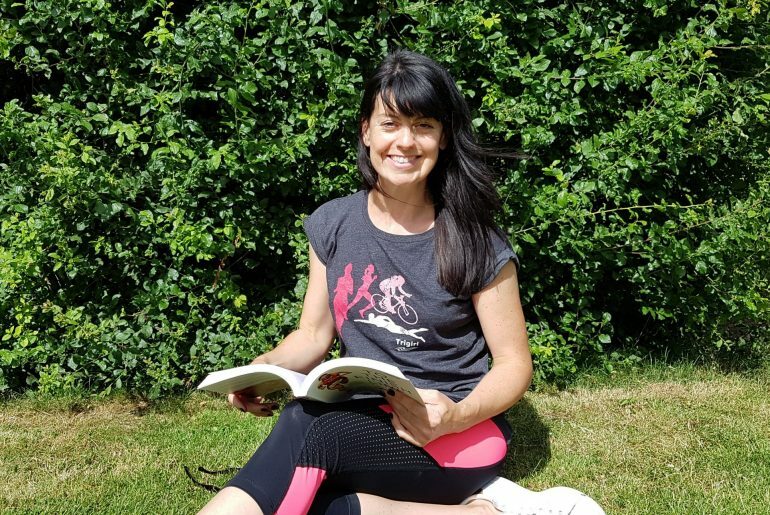 With an introduction from Jake, and canine-companion to international mind-body coach, Kim Ingleby, Hound of Happiness, is an inspirational little book that will brighten anyone’s day. Jake (a super-cute Staffy mixed-breed) and Kim offer up fifty-two active, positive quotes, which can be read in a sitting, over the course of a year or just when you need a little pick-me-up. You also get photos of Jake so it’s a great gift for dog lovers! 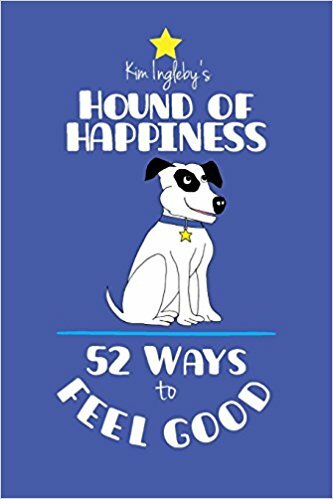 Hound of Happiness is a quick read and its tips come from someone who not only is an expert in positivity, but has practiced what she preaches. In addition to being founder of Energised Performance, a Global Award Winning Mind and Body Consultancy, Kim has given a TEDx talk and worked with well-known sports and entertainment figures, such as Team GB and Strictly Come Dancing. Kim has used her own positivity to help heal her brain after catching Weil’s disease swimming in open water. On each of the book’s pages, you get some insight into Kim’s strength and resilience, which she clearly wants to share. At Trigirl, we’ve worked with Kim a long time, so we know first-hand that her positive mental coaching works. Although Hound of Happiness isn’t specifically about triathlon, we love how Kim’s quotes help to inspire us to stay motivated, and everyone (especially a hardworking triathlete) likes a little extra happiness! Would you like to win your own copy of Hound of Happiness? Simply tell us why you think you need a little extra inspiration and cheering up. Entries close on the 18th of March 2018. We will give away a free copy to the three most convincing answers. To enter simply scroll down and post your entry in the comment box below. Steve Trew is one of the best-known names in world triathlon and has coached medallists at European and World Championships. One intriguing fact about Steve is that all the athletes he has coached to World Championship titles have been female. 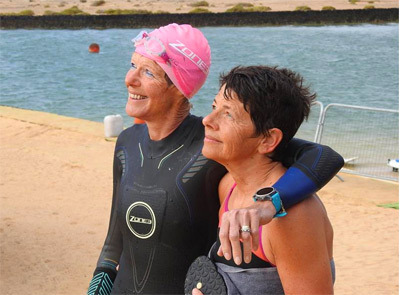 Trigirl wanted to find out what Steve could tell us about female triathletes; what makes us tick, what we find tough and what we can all be doing to get the most out of our training. Do women struggle with any particular aspects of triathlon? Are there any areas women tend to neglect in training? Do you think women get better results if they train in a group? What changes have you seen in women’s triathlon? These are just some of the questions we asked expert tri coach Steve Trew in our recent interview. Click here to read the full interview. 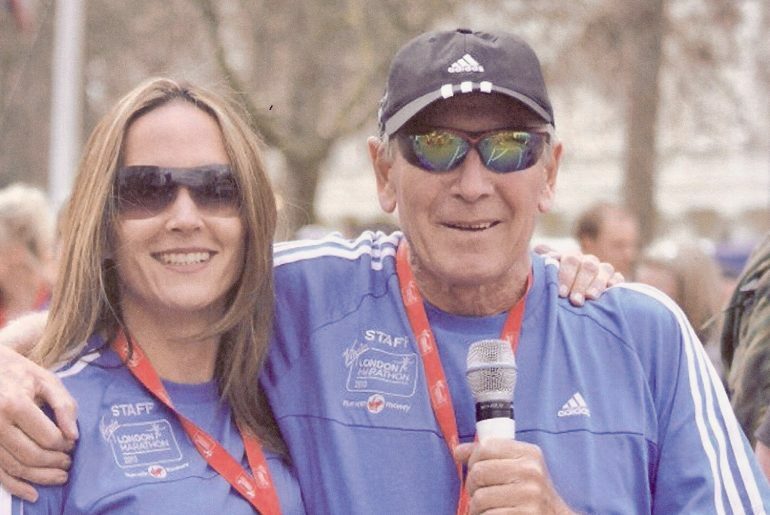 Steve has published a number of books to help triathletes achieve their sporting goals. The book “100 Essential Triathlon Sessions” that swim coach Dan Bullock co-authored with him is particularly useful to triathletes of all levels. 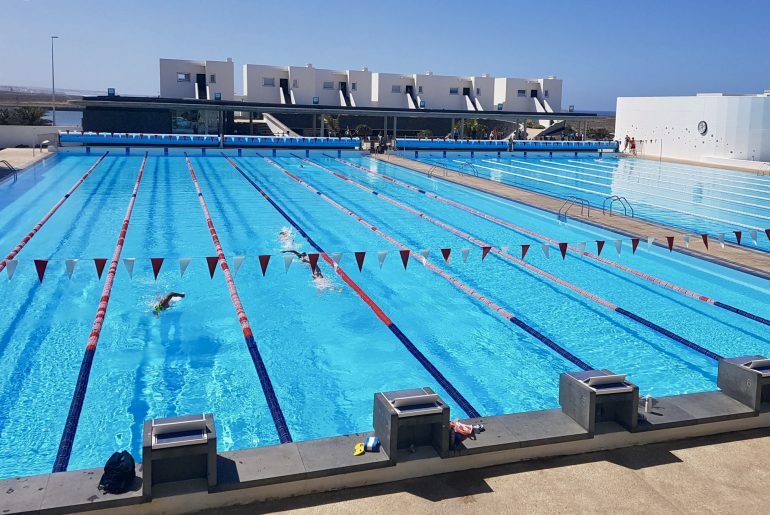 The book features 100 sessions – 30 swim, 30 bike, 30 run and 10 brick – that have been developed and honed over many years and have proved effective in improving performance. Give it a go! What’s the worst that can happen?! 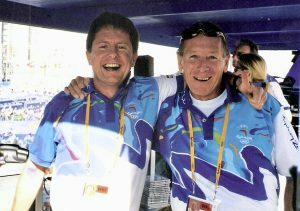 Tri coach Steve Trew with Marc Dragan commentating Sydney Olympics. Successful and injury-free Marathon training without the long runs? Performance coach, massage therapist and friend of Trigirl, Emily Chong, subjected herself to a nighttime off-road marathon to test out her own theory about interval training. Emily adopted a “no long run” style of training for the marathon, using gym-based strength training and high-intensity intervals in the pool and on the bike to boost her fitness, to great success. It’s cold, dark, wet and icy outside. You’re feeling tired or maybe you’re recovering from an injury. Perhaps you have a marathon booked in a few months. Should you grin and bear it and stick with the mileage written in the training plan? Should you listen to your body and rest? Is Marathon training without long runs possible? Your answer may be interval training, cross training and pushing weights in the warmth of a gym. At the 1952 Olympics in Helsinki, Emil Zátopek became the first person to win the 5k, 10K and the marathon in the same Olympics. Before then he had never run a marathon, not in training, nor in a race. His secret? Interval training. Using just one activity to train for these components is not uncommon; many runners only run. However, this can be time consuming and risky considering the amount of impact and the time it takes to recover from running. 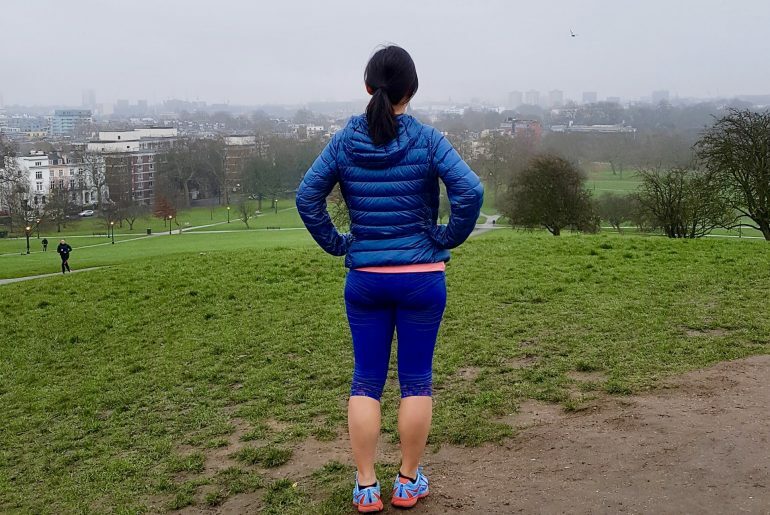 I wanted to experience how effective cross training and interval training could be for this blog post, so I signed up for a marathon as an experiment. 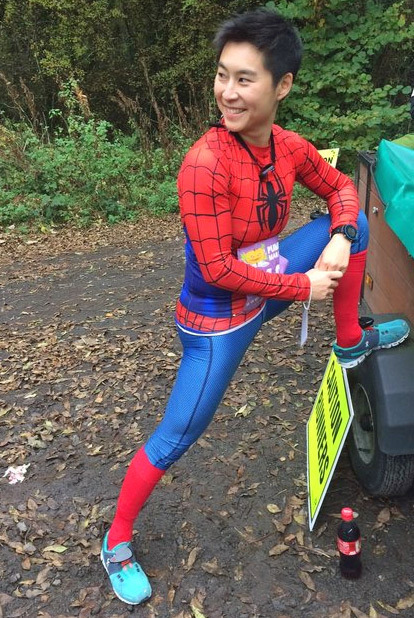 Apart from a very slow Ironman in 2014 (with a 5hr run split), I had never run a marathon before. While I’m used to high volume swimming and cycling, I don’t run more than 10km at a time. Week Four of HITT, Trigirl’s High-Intensity Triathlon Training! We’re back to run training this week, but we’re mixing it up with a high-intensity session that works on overall body strength as well as run strength and speed. Once again, you’ll get extra benefits in less time! Welcome, Trigirls, to Oregon Circuits for triathlon training, Trigirl HITT-style!! If you’re new to Trigirl’s weekly HITT training, see week one for more information on HITT, how it works and how to approach the sessions. Though high-intensity training has been proven safe, if you are starting a new exercise plan (whether traditional triathlon training or HITT), it’s always a good idea to speak with your doctor. This week we’ve got Oregon Circuits on the agenda. So what are they and how can you use Oregon Circuits for triathlon training? Oregon Circuits were invented at the University of Oregon by coach Luiz de Oliveira. Combining run intervals with bodyweight strength exercises, they definitely suit our ‘more benefits, less time’ training approach. If you’re new to Trigirl’s weekly HITT training, see week one for more information on HITT, how it works and how to approach the sessions. Though high-intensity training has been proven safe, if you are starting a new exercise plan (whether traditional triathlon training or HITT), it’s always a good idea to speak with your doctor. This week we’re getting on the bike for a super-fast, super-efficient leg burner! We’re basing this session on Tabata, discovered by Japanese scientist Dr. Izumi Tabata. Tabata and his team conducted research on two groups of athletes. The first group trained at a moderate intensity level while the second group trained at a high-intensity level. The moderate intensity group worked out five days a week for a total of six weeks; each workout lasted one hour. The high-intensity group worked out four days a week for six weeks; each workout lasted just four minutes (20 seconds of hard training followed by 10 seconds of rest repeated 8 times). The results; Group 1 had increased their aerobic system (cardiovascular), but showed little or no results for their anaerobic system (muscle). Group 2 showed much more increase in their aerobic system than Group 1, and increased their anaerobic system by 28 percent!